See more Tax Stuff under our “What’s New” page. We do taxes year round! Call us today for an appointment at 498-3999, extension 0 ~ thank you! Need help in getting all your tax records together? Experience: Our office currently has two year round tax professionals, with twenty tax seasons of experience each! We complete more than the required continuing education courses through out the year. See below for our individual information. Extended Hours During Tax Season: During tax season our hours expand to 9am-6pm, Monday thru Saturday. Need an appointment outside of these hours? Give us a call and we’ll do our best to accommodate your schedule! Appointment or Drop Off: Whatever is convenient for you. If you prefer to meet face to face with a tax professional and go over your documents, we can do that. If you prefer to drop off at the front desk and leave a phone number for us to call you, we can do that. Year Round Assistance: We are open 9am-5pm, Monday thru Friday outside of tax season. We are here to assist you with your tax returns… for any year or any state. Convenient Location: We’re easy to get to and have lots of parking. Electronic Filing: We are an authorized e-file office and provide that service to our customers complimentary, for returns that qualify. We e-file returns only prepared in our office. Payment for our fees: We accept personal checks written on a bank in Arizona, cash, VISA and Mastercard. Payment is required upon completion of your return and presentation to you for signature(s). Any other payment arrangements must be approved by the owner. You can also make a payment on our website. Go to the “Make a Payment” page. Our base tax preparation fee for new clients begins at $250 for a basic 1040 and Arizona 140 with up to two (2) W-2s. There are additional charges for each additional form, schedule, and out of state returns. Electronic filing is a complimentary service for our customers and for returns prepared in this office. We can give you a quote based on your previous years tax return; however, we won’t know the actual price of your current return until we have all of your tax information entered. Returning clients receive special rates. Do you have a Sole Proprietor business? We are experienced in completing your tax return!! Are you an LLC? S-corporation? Corporation? All of our LLC and/or corporation returns are prepared in our office. The cost of your tax return can be provided after your initial consultation. Debbie Duerre, EA, (formerly Connell) is the Principal & Manager of RB&TS. She has been a Tax Professional since 1992 and has been a member of the National Association of Tax Professionals for over 20 years. 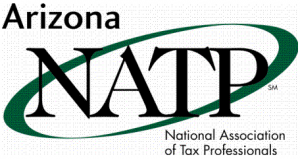 Debbie is a past member of the Board of Directors, Arizona Chapter of the National Association of Tax Professionals and was the President for 2007, 2008 and 2009. Jane Whetzel, EA, is a Tax Professional at RB&TS. She has been a Tax Professional since 1988 and is currently a member of the National Association of Enrolled Agents and the National Association of Tax Professionals. Jane has been an Accounts Manager with RedSun since 1993. All of our tax professionals complete more than the required continuing education courses through out the year and are licensed with the IRS! !